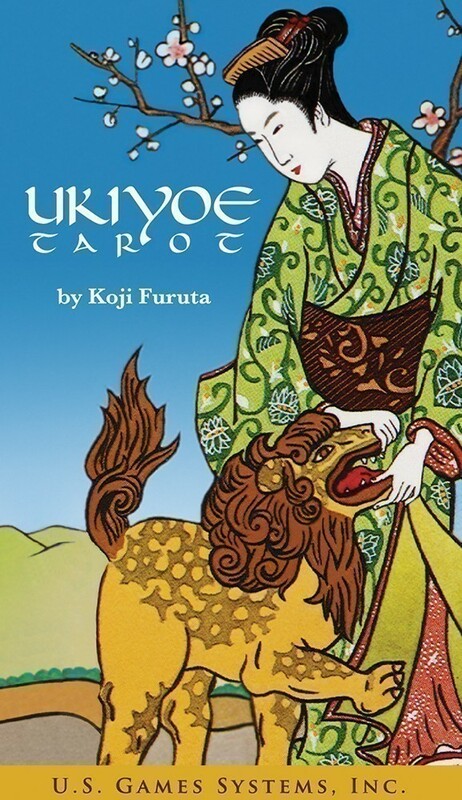 This richly illustrated deck artfully portrays traditional tarot symbolism with classically costumed Japanese figures. 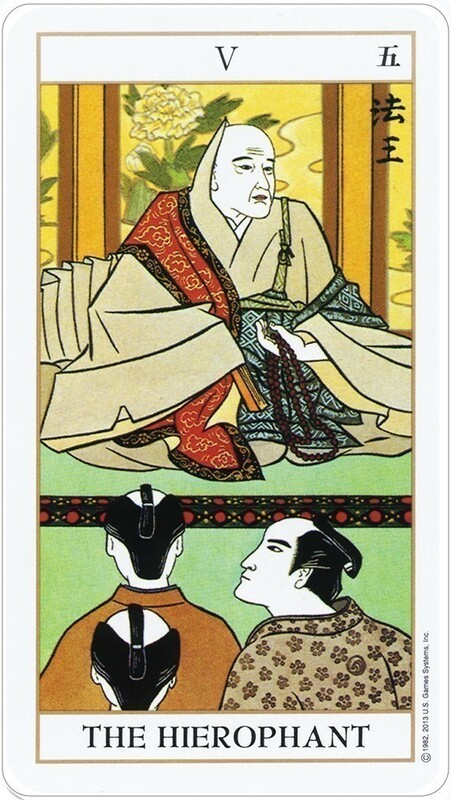 The uniquely Japanese Ukiyoe genre reflects the Buddhist ideas of the transience of the physical world. Japanese artist Koji Furuta masterfully captures the serene beauty of the “floating world” with scenes of everyday Japanese life. 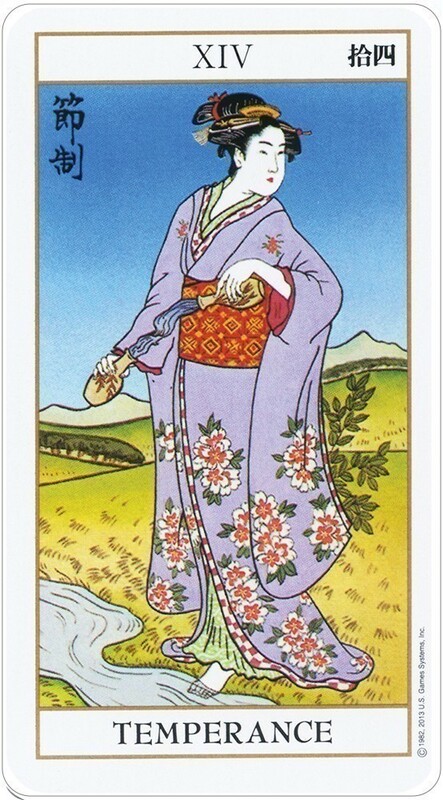 The Major Arcana depict familiar archetypal figures such as a Kabuki actor as the Magician and a Buddhist monk as the Hierophant. The artist has chosen ancient Japanese symbols for the Minors: traditional swords, ceremonial scepters, lacquered bowls for cups, and Edo-era coins. 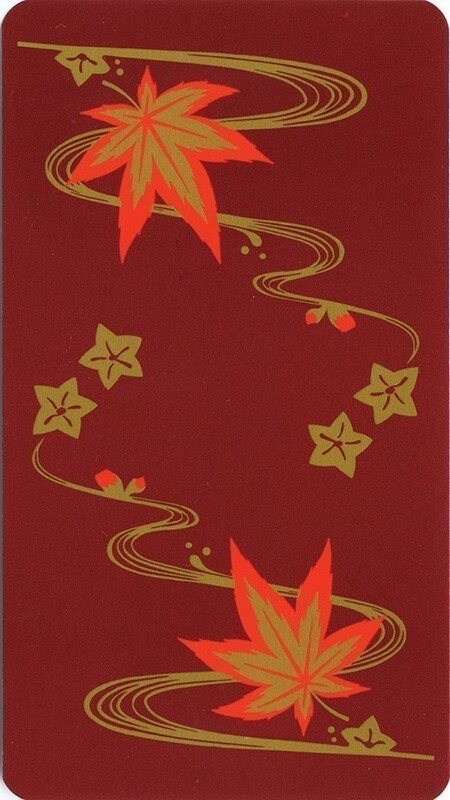 The 78 cards are numbered and titled in both English and Japanese. 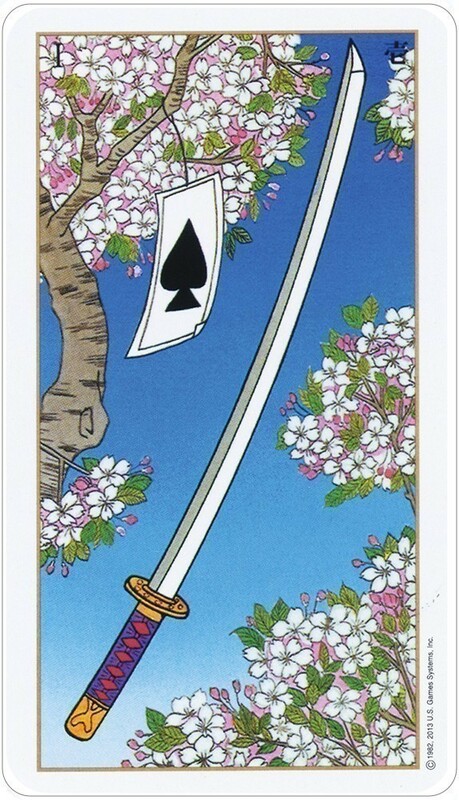 Cards measure: 2.5" x 4.5"
Koji Furuta was hand-picked by tarot guru Stuart Kaplan to merge the world of Japanese Ukiyoe artwork with the traditional 78-card tarot deck. The resulting imagery captures the delicate, yet powerful, Ukiyoe style, while the end product is amazingly modern. Then again, that has always been the strength of Japanese art — spanning the ages. 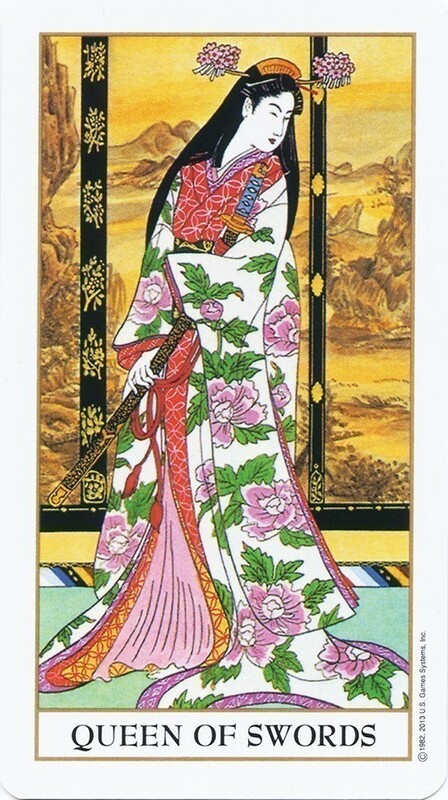 Ukiyoe is a perfect medium to convey the ancient wisdom of the tarot. The Magician is poised like a samurai, ready to take action.The High Priestess peers out from behind her elaborate makeup and costuming to let querents know that her word is law. The Hierophant gazes sadly at his quizzical proteges. Justice looks over her shoulder to make sure no one is being left behind. And a boddhisatva beckons from a heavenly lotus as the gravestones tumble in Judgement. 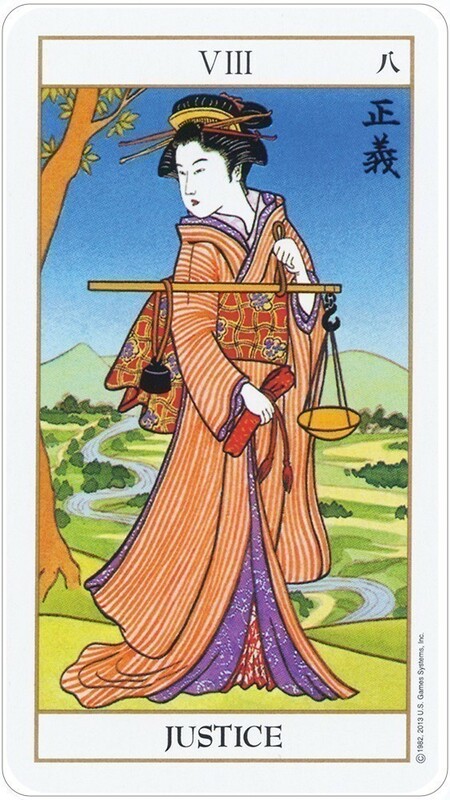 The more you know about the tarot, the more you will find in each illustration. If tarot is new to you, each card offers much to explore. 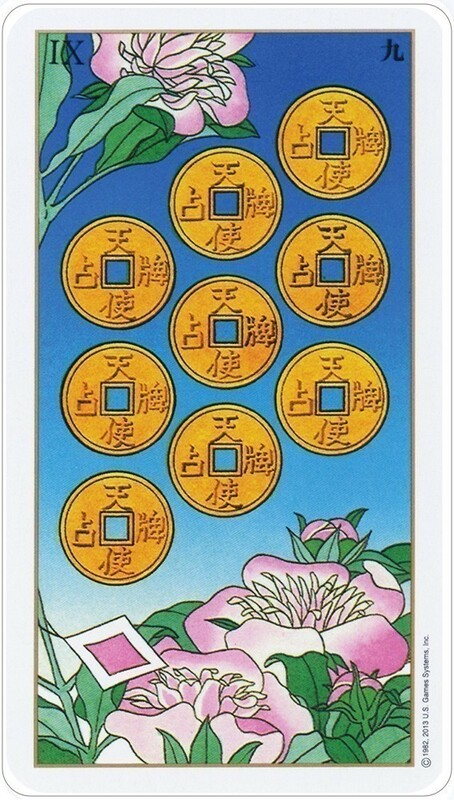 This lively and intricate deck is a terrific oracle and, of course, it will prove valuable for meditation as well.